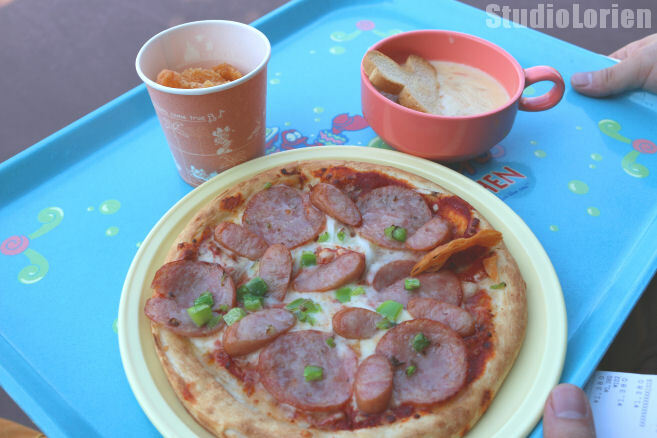 This week I thought I’d start a new series introducing some of my favorite treats from Tokyo Disney Resort. I decided to call it Hidden Treats! 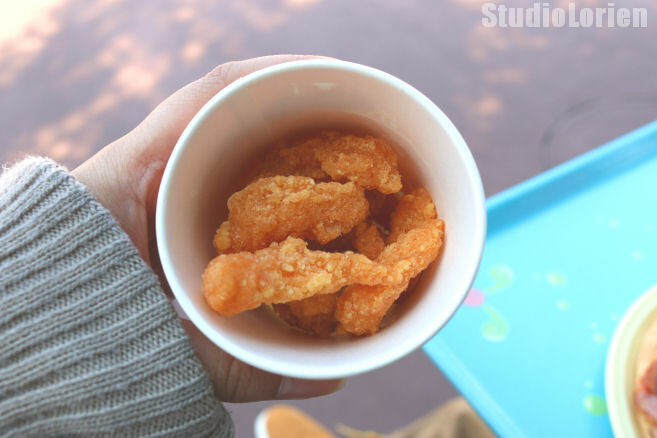 Now some of these may not be as hidden as some, but I feel like a lot of good foods at TDR go unnoticed because of some of the more well-known snacks and desserts. Today I’m going to share the amazing Pop’n Shrimp from Sebastian’s Calypso Kitchen. 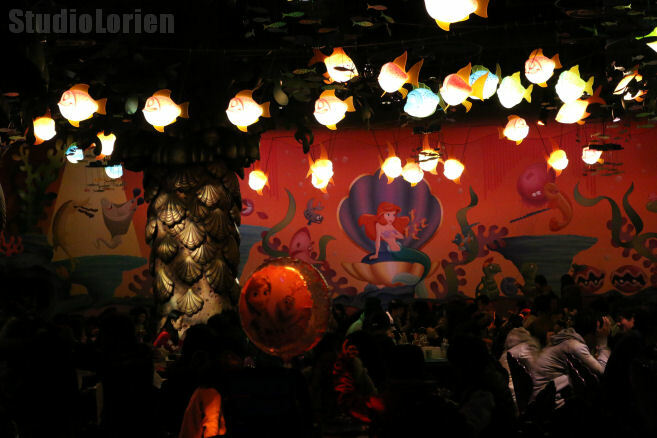 If you’ve ever been in Mermaid Lagoon I’m sure you’ve seen this restaurant. Calypso Kitchen mainly offers seafood based pizza and sandwiches. I’m not too big of a seafood fan so I tend not to eat her too often. I happened to be in here with some friends who needed a snack and decided to grab something for myself too. Because Disney is all about eating, right? 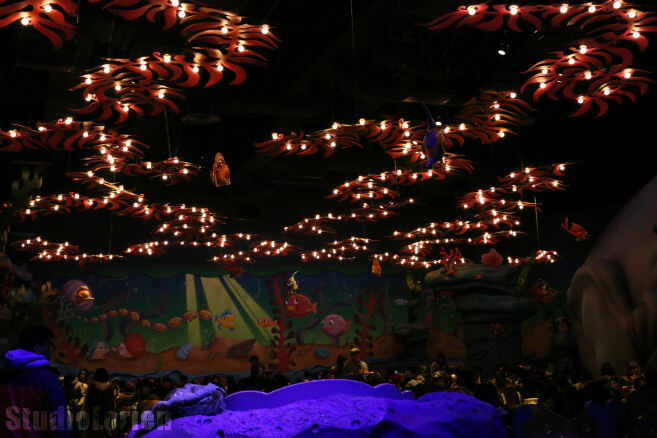 It’s fairly dark in Mermaid Lagoon, but thankfully the menus are well lit! They have Apple Tea Soda! In front of the cashier booths (is there a proper name for these?) there are a few cases with fake food samples. If you don’t like seafood, don’t worry! They have a sausage pizza. 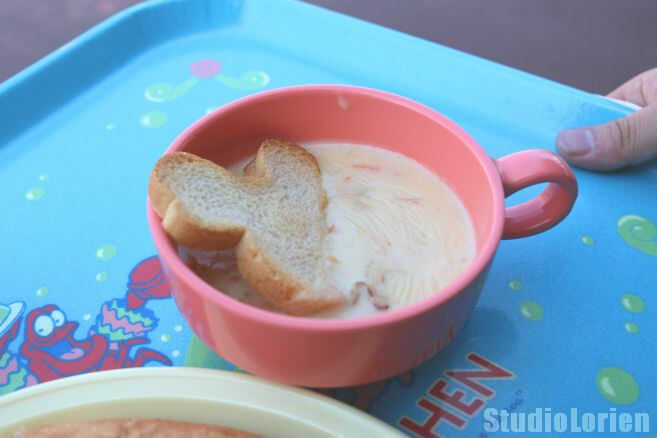 I’m also quite in love with the flounder dessert cup. The sitting area is so cute! I wish my bedroom looked like this. 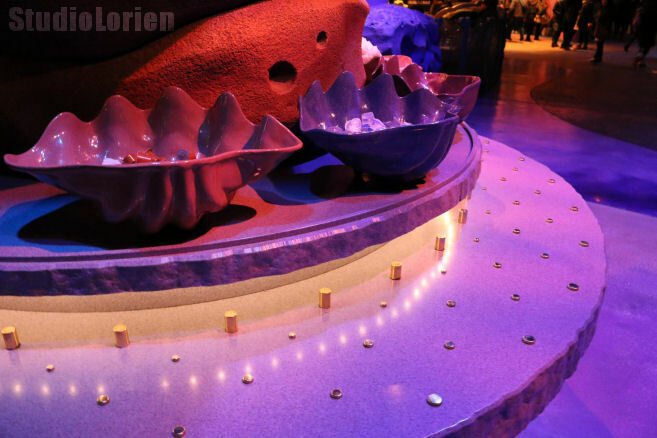 Ariel welcomes you…! The little fishy lights are too cute. You can find condiments in these cute shell shaped bowls! Finally the main event! Pop’n Shrimp! This can be found on the side menu and is absolutely delicious. Remember how I said that I don’t like sea food? I take that back…well, partially. This shrimp is so good! The cup is a bit small and I do wish the portion was doubled, but since I spend the whole day eating anyway this little bit is probably just right. For 330 yen it’s the perfect snack! And since I went with hubby we had to get a few other things too. This is scallop chowder. The Mickey shaped bread instantly Disney-fies it! It tasted pretty fishy, but was a nice thick cream. I definitely prefer the bacon and vegetable cream soup from the Yucatan Base Camp Grill, but that’s another post. 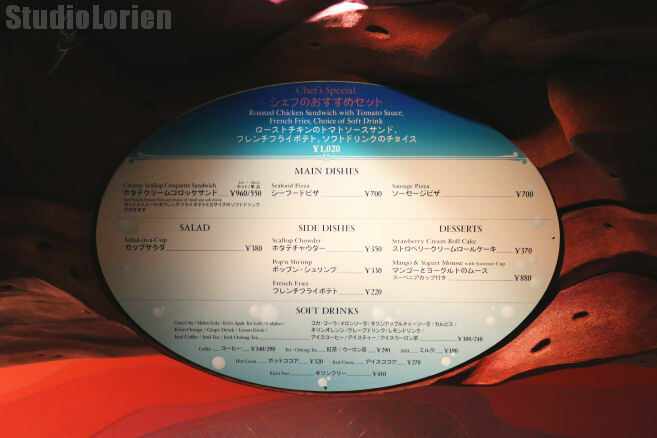 Anyway, try the Pop’n Shrimp next time you’re in Mermaid Lagoon! Well, not if you’re allergic, but if you’re not, do it! Even if you dislike seafood like me, you might like it!